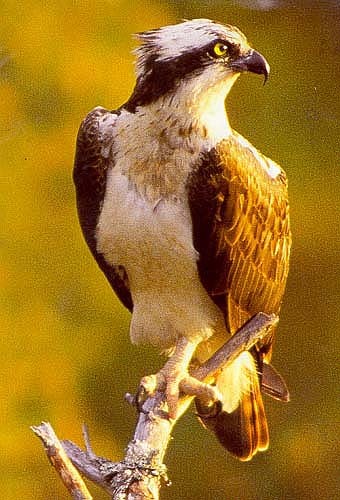 This animal, as you can see, is called an osprey. 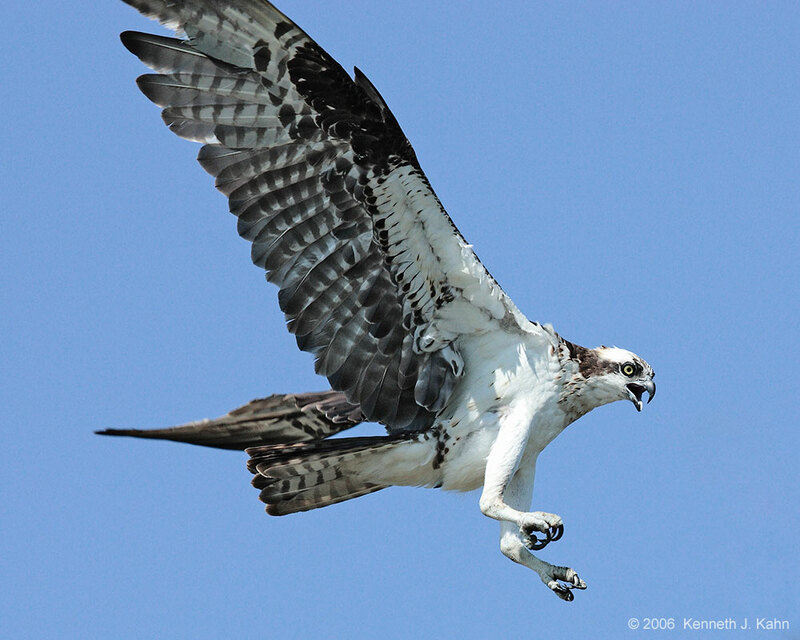 Ospreys have giant wings to fly all over the world with. Ospreys are perfectly designed to catch fish. 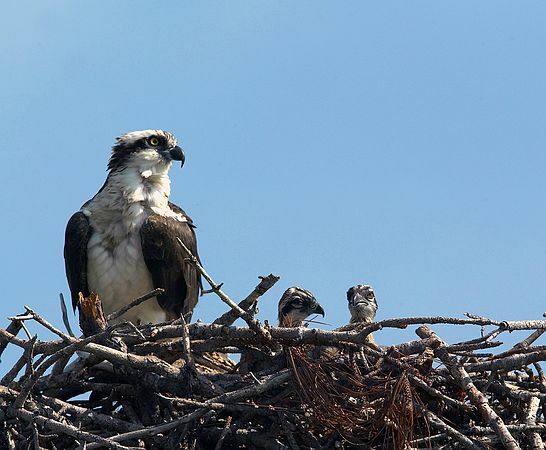 Ospreys hover around lakes and rivers, waiting for a fish to come close to the surface. Ospreys are also known as sea hawks. Birds who live in Europe spend the winter in Africa to avoid the cold weather. They catch fish by diving into the water feet first. They have backwards-facing scales on their talons which act as barbs to help hold their catch. They spot fish from 10-40 metres. They have closable nostrils to keep out the water. Their wings are long and narrow, with four long and one short feather at the tips, so they look a bit like hands.